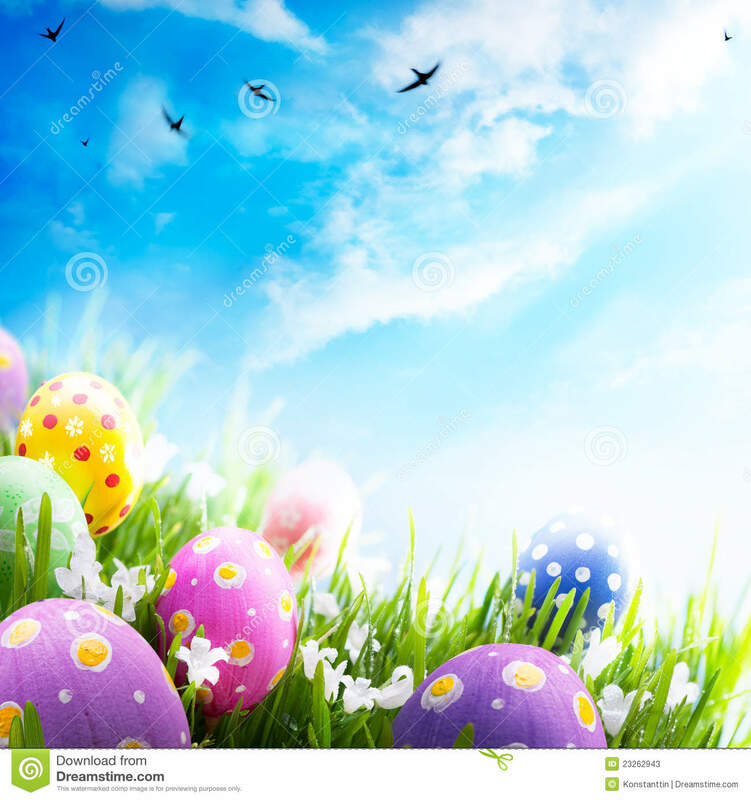 Easter eggs with flowers in grass on blue sky. 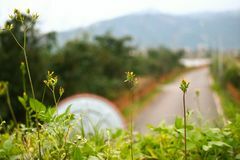 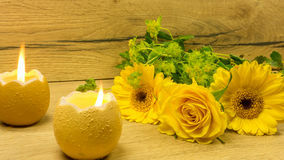 Seeing an invisible road from the fresh yellow flowers. 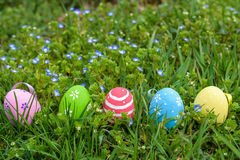 Colorful eggs in a meadow on a sunny day, with beautiful flowers. 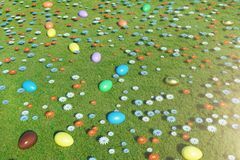 Easter eggs top view on grass, lawn. 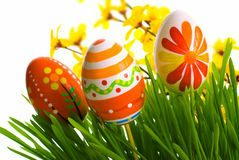 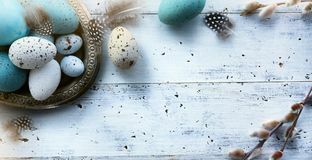 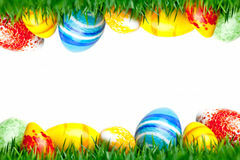 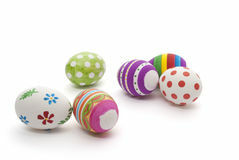 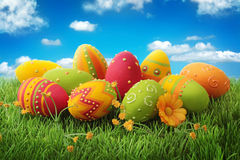 Concept easter Colorful decorative and plain easter eggs arranged in random circular pattern on green grass. 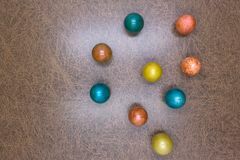 Close up flat view from above. 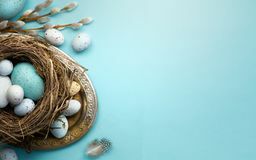 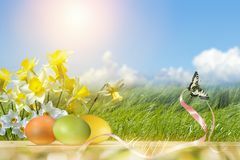 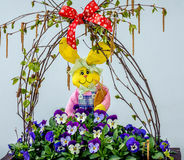 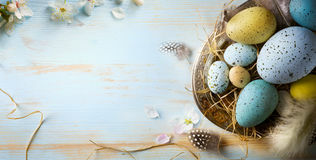 Easter still life with daffodils, colorful eggs and a butterfly Wicker empty basket for products on grass Easter decoration candles in egg shape Happy easter! 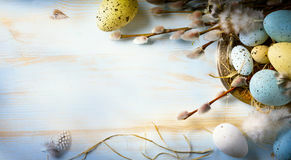 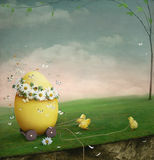 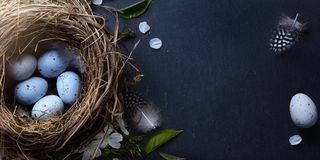 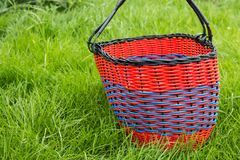 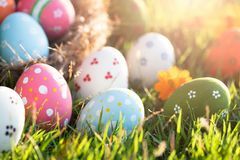 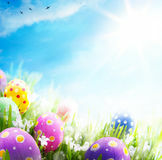 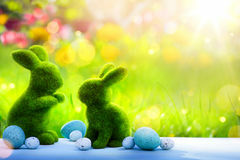 Closeup Colorful Easter eggs in nest on green grass field during sunset background Colorful Easter egg in the fresh spring meadow Easter bunny in flowers.